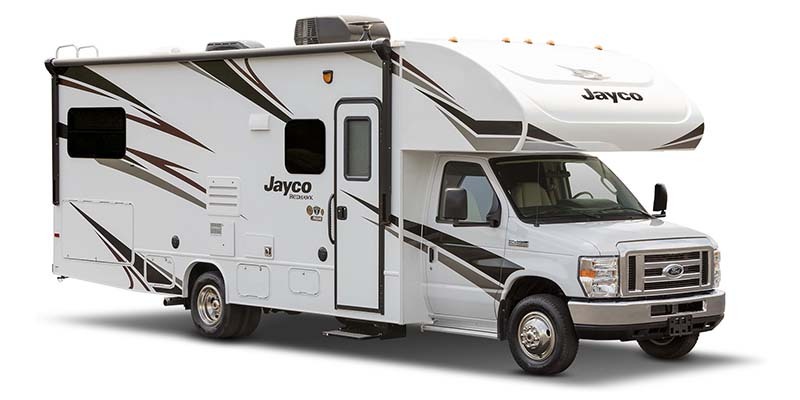 If you’re thinking about checking out mobile living, you should visit Vogt RV Centers in Texas for the most extensive Jayco inventory in the country. RV life is all about making the journey as awesome as the destination you’re traveling to. 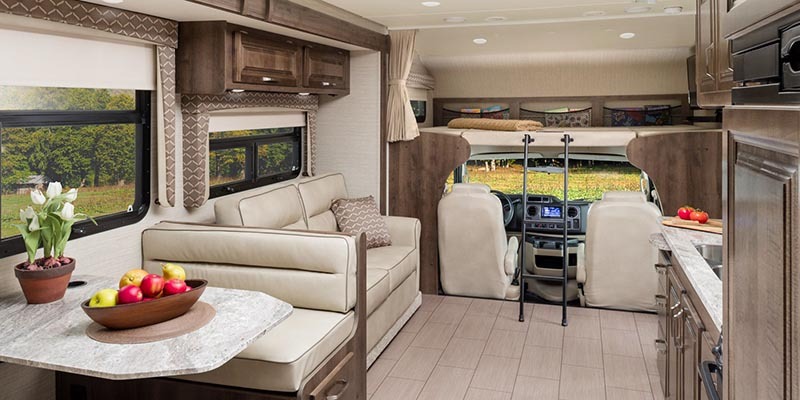 The 2019 Jayco Greyhawk offers features that will provide you with all the comforts of home while allowing you to drive and relax in style. 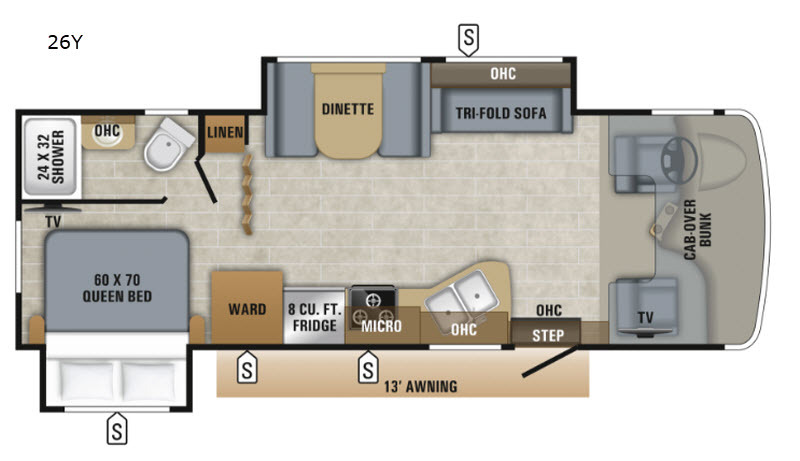 When it comes to mobile living, you’ll be glad the RV features the following comforts of home. You can easily enjoy a meal at the legless dinette table. 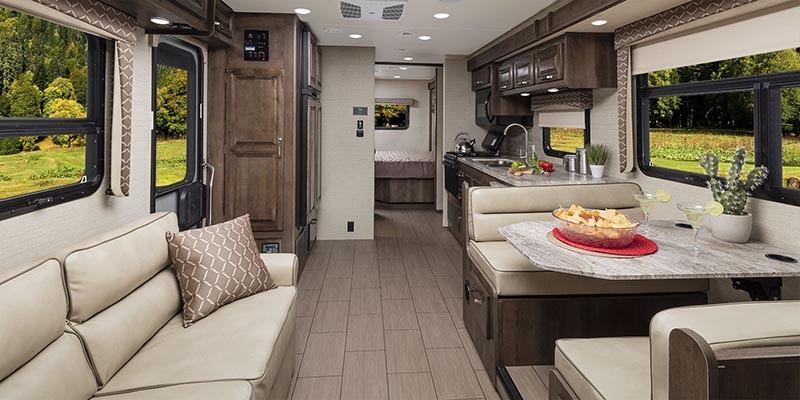 The feature is a Jayco-exclusive and sits right in front of the RV’s frameless, large windows, so you won’t miss a minute of the scenery while eating. The Jayco Greyhawk kitchen is decorated with a modern interior and is comfortable and spacious to boot. The design allows you to move around easily and features a slideout counter for extra space. The cabinets and drawers are made with hardwood drawers and feature ball-bearing drawer guides. A durable stainless steel sink looks beautiful in the kitchen and the stylish modern backsplash will make you forget you aren’t at home. With all spaciousness and features you could dream of, you can cook all your meals in the kitchen. A 3-burner range features a 9,000-BTU SuperBurner and a piezo igniter. The flush mount, double door refrigerator measures 8-cubic feet, so it’s big enough to hold all condiments, water, and more. There’s also a microwave oven and standard oven, so you aren’t limited to what you can prepare for you and your guests on the road. 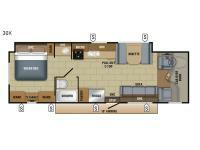 The Jayco Greyhawk has lots of interior space including 84” ceilings and is covered in padded vinyl. Remember when we promised the Jayco Greyhawk delivered all the luxuries you are used to at home? How about a lush sofa, a 15,000-BTU A/C, and a 31,000-BTU-auto ignition furnace. There’s even a wall thermostat to make controlling the temperature of the RV easy. High-intensity LED lights are recessed into the ceiling and vinyl floors cover the entire floor space. The convenient interior command center is topped with a gorgeous skylight, which adds natural light and a warm feeling to your home away from home. 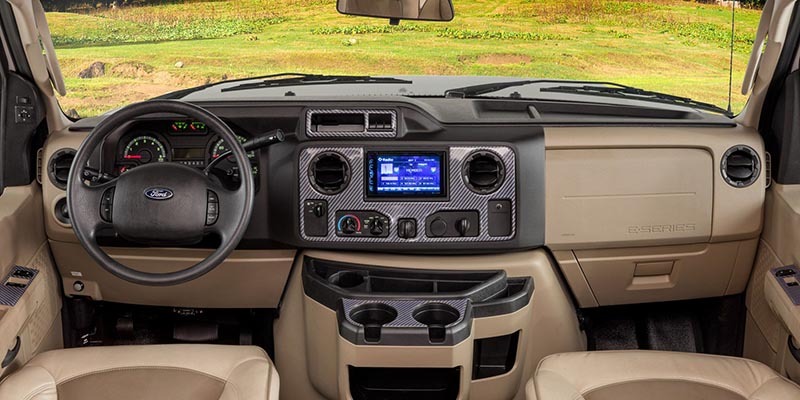 Driving the Jayco Greyhawk is safe, fun, and stylish thanks to a Soundstream infotainment system. The system is complete with GPS, CD/DVD player, and remote-control mirrors. Safety is increased with side view and backup mirrors with camera monitoring. You and your family probably enjoy the RV lifestyle for the access to the outdoors it provides. But, when traveling or during downtime, you and the family will enjoy the built-in RV entertainment options. The focal point of the entertainment center is a 39” LED HDTV complete with RG-6 coax and cable TV hookup too. There’s also plenty of space to store your favorite movies and music, so there’s no end to the entertainment possibilities while on the road.